When a single mom and her children first arrive at Homes for Families, a program of STCH Ministries, desperation often accompanies them. Dreams of a better life have worn thin from years of crises, trauma and anxiety. Yet the moment they choose to reach out for help, rather than continue to go it alone, a shift begins to take place. For most of the moms, the motivation to give up their chaotic, familiar world for something unfamiliar comes from their desire to give their children a different, better life. Current resident Amanda, a mother of four, shared that she came from a situation of abuse and domestic violence and did not want her kids to have to go through what she did. These fears led her to try to control everything her children did in order to protect them. Another resident, Ashley, initially decided the program was not for her when she visited Homes for Families at the suggestion of a couple from church. STCH Ministries created Homes for Families at Marshall Ranch in Goliad, Texas, to help single mothers and their children stay together rather than being separated during times of crisis. Klacman emphasized that special Bible study time is provided throughout all phases of the program to help the women develop a closer, more intimate relationship with God. “As they get into the daily structure of the program, learning about God and self-awareness, they realize the importance of forgiveness and how their choices correlate with their life experiences,” she said. Klacman added that when the women begin to understand how much God loves them and how He sees them as His children, they begin to change how they treat themselves and others. Victoria, a mother of four, graduated from Homes for Families and now serves there as an intern. Victoria had been bulimic since the age of 14. “I hated myself. I would constantly cut myself. I never had anyone offer to pray with me before coming here. Now I know that I am more than a conqueror. We are perfect in His eyes,” Victoria said. Brenda Whitfield, director of Homes for Families, loves seeing the transformations taking place each day. One of the biggest successes she has witnessed is with Echo and her five children. Echo’s oldest boys lived at STCH Ministries Home for Children for a while and their behavior was challenging, Whitfield said. When the boys were able to reunite with their mom at Homes for Families, things gradually began to change. “I am learning to connect with my children emotionally and find new ways to help them,” Echo said. She attributed her children’s improved behavior to the parenting classes and resources offered, as well as the one-on-one parenting guidance from the resident coordinators. Ashley also loves seeing how her children have changed. Many who have come to know and love Ashley would say the same about her. Ashley celebrated her graduation from Homes for Families this past summer and signed a lease for her own apartment in Victoria, Texas. 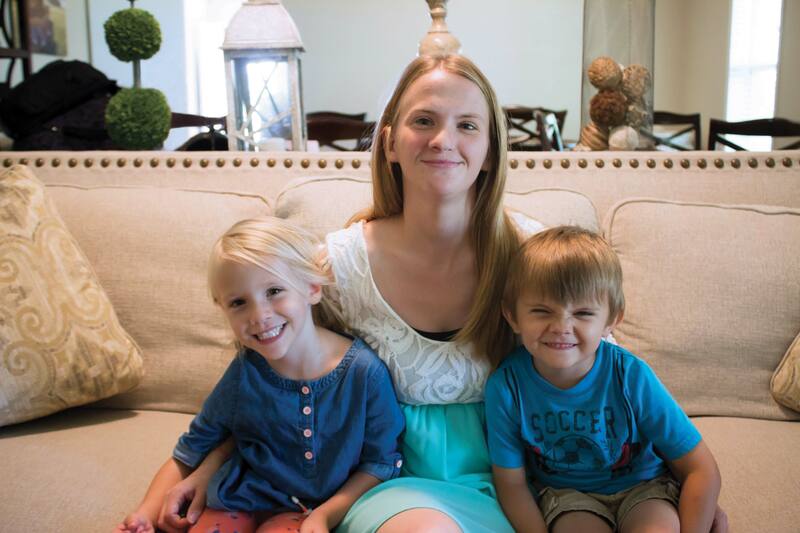 She works part-time, is in her third semester at Victoria College, and her children Kylee (age five) and Kyle (age four) are enrolled in their new schools. Whitfield recently delivered a sofa to Ashley’s new apartment and recalls the glow of excitement and humble confidence Ashley exuded.